I went to my first indoor soccer game last night, and it was awesome! 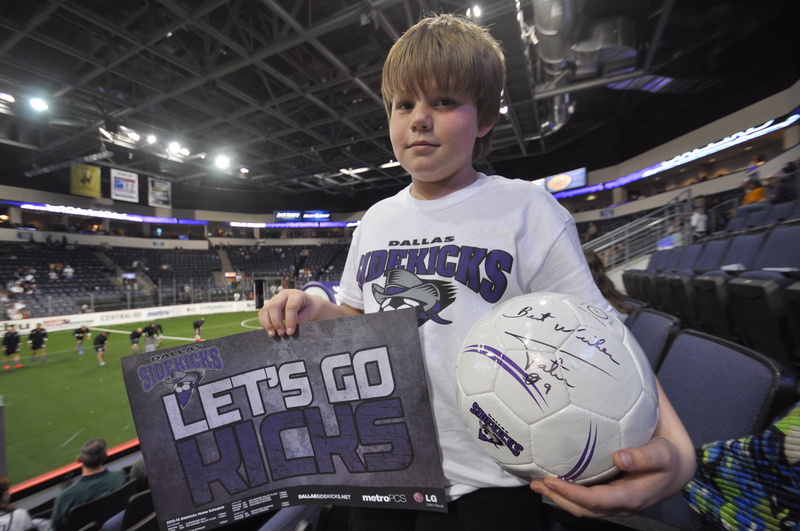 The Dallas Sidekicks beat the Harrisburg Heat 6-2, and the action never stopped. Indoor soccer isn’t anything like outdoor soccer. Outdoor soccer can be slow. But the Sidekicks and Heat never slowed down. I got a sidekicks backpack, my team shirt was signed by the whole team, and I got a soccer ball signed by head coach Tatu! All that, and we won, too.